Magic is in the air as we celebrate the 12th festive season of Once Upon A Holiday this weekend. The role of Alice has always been a very important role. The audience sees all of Wonderland through her eyes. Throughout history, there have been 5 Alices and this year, we debut 1 more. 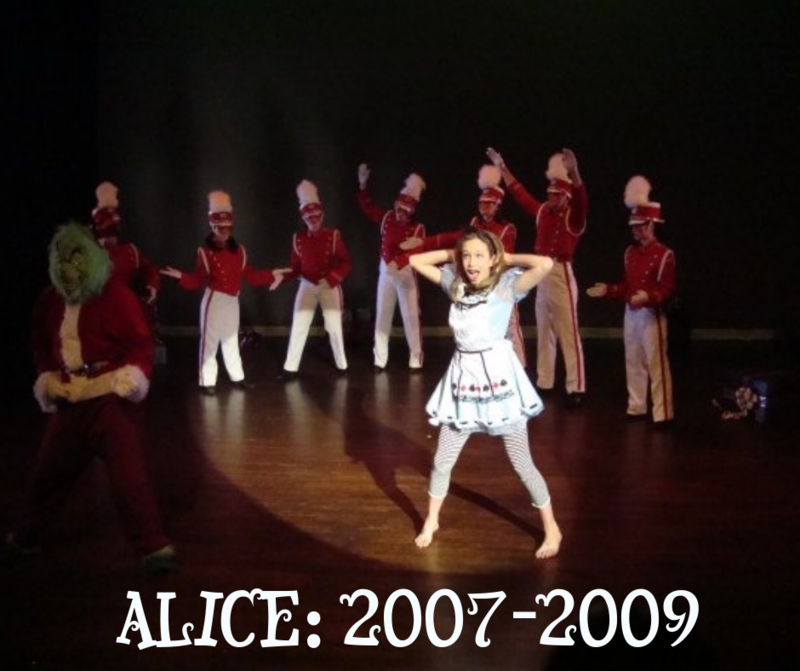 Haley Varano: Haley was our 1st Alice ever and premiered the role in 2007. 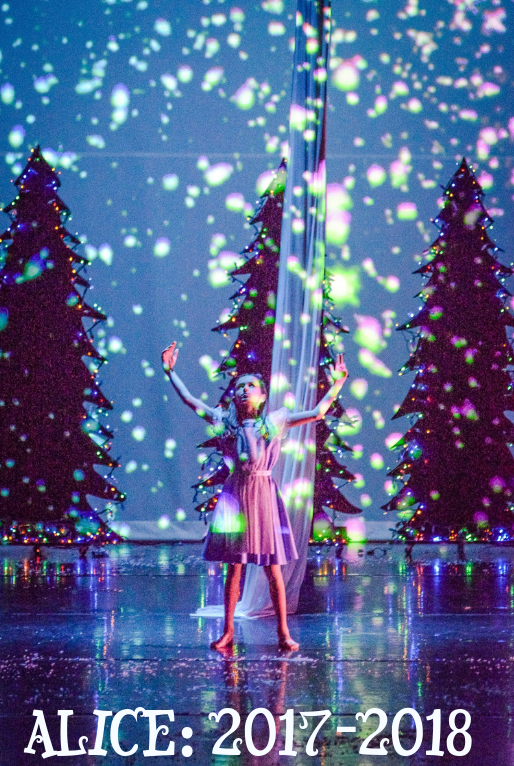 The show was held in a very small theater near Zoo Atlanta and was 45 minutes long. There was no cross over backstage so dancers had to run outside (in the rain) to get to the other side of the stage. There were only 5 children in the cast in 2007. The next year the show moved to 7 Stages, where it remained for the next 7 years. Haley performed as Alice for 2 more years as the show expanded to its full length of 1.5 hours. Nine years later, Haley will take the stage with SIDEWAYS as a professional dancer. 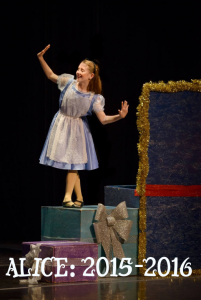 Bailey Thacher: Bailey was our next Alice and performed the role for 2 years at 7 stages. New props were added and the cast of children continued to expand. Bailey was 11 when she premiered and took the Alice solo to the next level. Her technique was strong and she set a new bar for the future Alices. Bailey continued to dance throughout high school and now attends Florida State University. 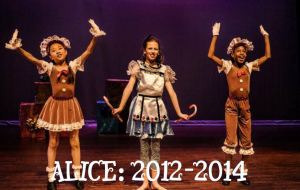 Heather Elrod: Heather became Alice number 3 and received custom-made costumes. The Halloween costume used for the first 5 years was definitely more than worn by this point and Alice needed an upgrade. Mary Ann Staib, who played Alice’s mom in the show, designed and created costumes that could be adjusted to fit different-sized dancers. 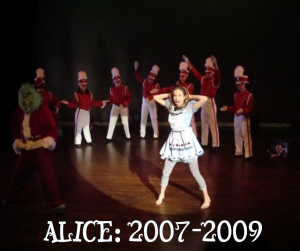 Heather was the last Alice to perform at 7 Stages theater. She has been in the show every year since her debut as Alice and is now a senior in high school performing as an apprentice with SIDEWAYS. Lindsey Perry: Lindsey was our first Roswell Alice, making her debut at Blessed Trinity High School. Once again, the cast continued to expand as SIDEWAYS formed a partnership with Atlanta Dance Central to allow their youth program class to perform in the professional production. Lindsey took the Alice role to the next level once again with her strong technique and was the first Alice to perform on the aerial silks. Lindsey is will be making her debut this year as a reindeer. Mena Jarrett: Mena made her debut as Alice last year and will be performing the role again this year. Mena was one of our smallest Alices when she debuted and we watched her performance quality blossom throughout the rehearsal process. This year we decided to double cast the role of Alice and Mena been integral to teaching Evie, our new Alice and Coco, our understudy. Mena is very focused in the rehearsal process and takes direction very well. 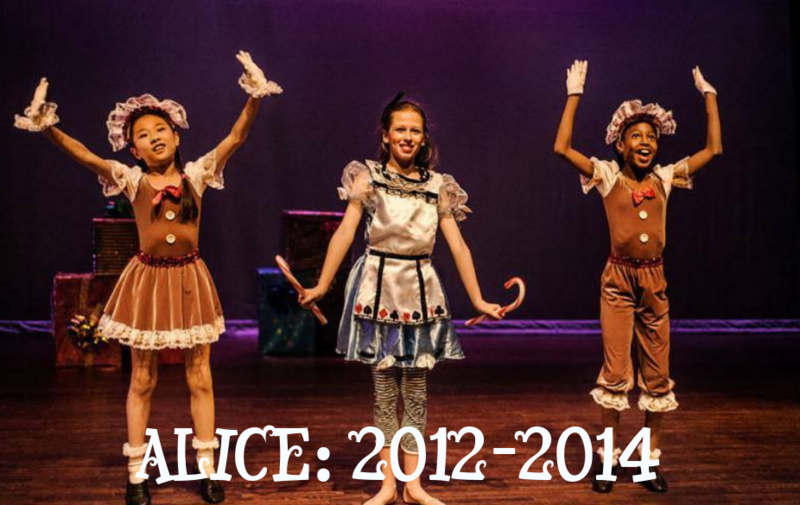 This year, she will be retiring the role of Alice on our final performance on Sunday. 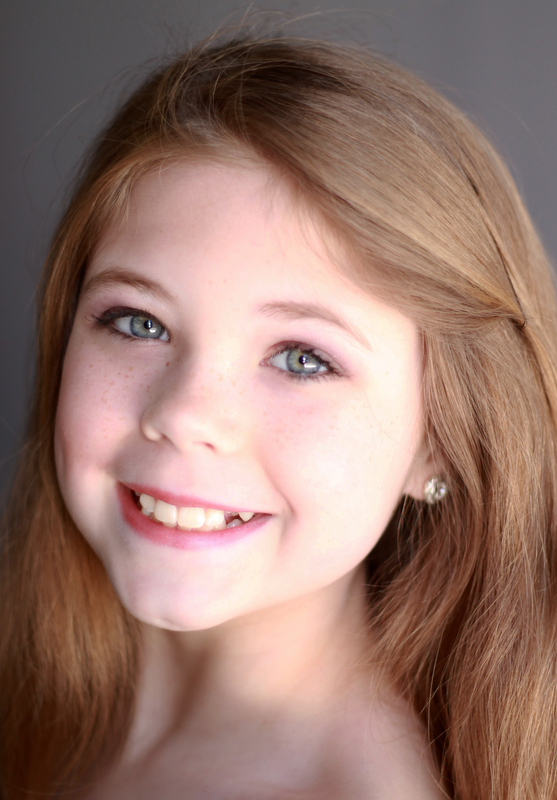 Debut: Evie Rasco: Evie will be taking the stage for the first time as Alice this year. She has a cute and bubbly personality that fills the stage with innocence. She’s been working very hard over the past 2 months and we can’t wait to watch her flourish in the role. Catch her at both Saturday shows! 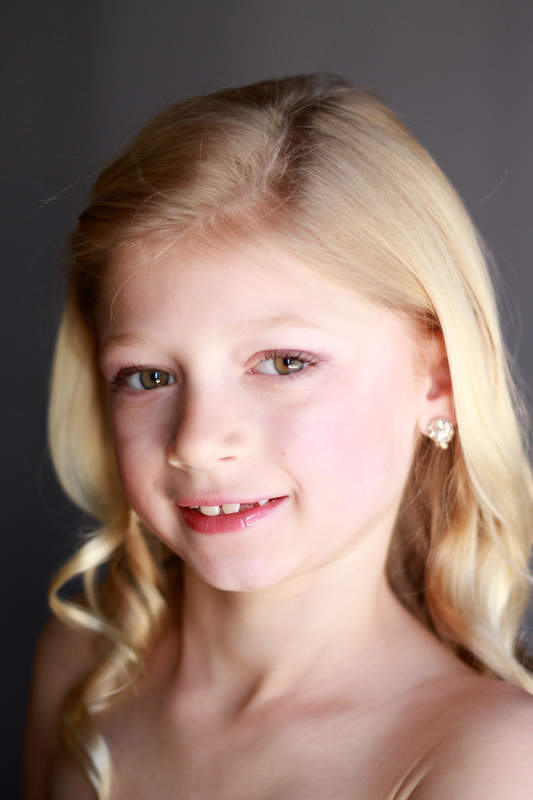 Understudy: Coco Teat: This year, we cast a young dancer as an understudy, in case of emergency, and also as an “Alice in Training”. Coco has been taking her understudy duties very seriously and attends every rehearsal alongside the other dancers. We hope that you will see Coco make her debut as Alice next year! This year, you’ll see her performing as Little Alice. The role of Alice is a challenging one, in both performance, stamina, and technique. 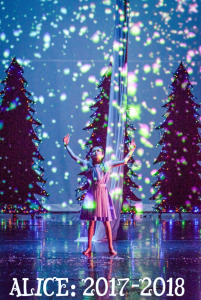 It’s a very special experience for every dancer and holds a unique and cherished place in their heart. Every Alice performer brings their own individual touch to the stage and steals audience hearts with their innocence, love, and joy. Experience the magic yourself this weekend!